Michele J. Lapayowker (Plantation) - Book Appointment Online! As a woman who is done with having babies I wanted a regular gynecologist. 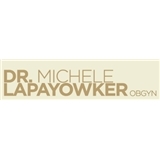 I chose Dr. Lapayowker based on the fact that she took my insurance and was close to home. I was so glad I did. She is absolutely amazing. She listens, she's personable and the office staff are amazing. I've been going to her for the past two years and I highly recommend choosing her as your doctor.